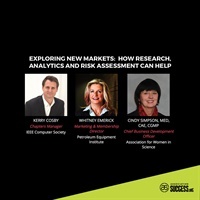 Association Leaders and the Analytical Mindset Debbie King, Wayne Eckerson, Bryan Kelly Association leaders today have more decisions to make and less time to make them. Coaching your team on how to embrace the analytical mindset and make evidence-based decisions quickly and confidently will be critical for your association and your career.​ An analytical mindset includes asking powerful questions and communicating clearly (internally and externally) in a way that is designed to ensure shared understanding toward the common goal of adding value. Analytical leaders understand context, culture, and strategy in addition to data. 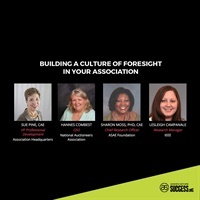 In this fast-paced session, thought leader Wayne Eckerson will share wisdom from his book Secrets of Analytical Leaders in an informative interview with Debbie King, CEO of Association Analytics. Come along to learn practical steps for how to be a role model for effective decision-making in your organization. 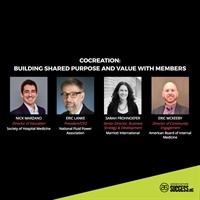 Facing - And Embracing - The Future of Learning Amanda Beckner, Josh Goldman, Jeff Cobb, Celisa Steele In this session we'll explore key trends in the rapidly evolving market for lifelong learning and their implications for trade and professional associations. 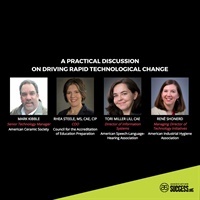 We’ll consider how technology is transforming areas like workforce and career development and the role approaches like microlearning and microcredentialing will play in association business models going forward. Participants will leave with big, but actionable ideas for taking their learning programs into the future. 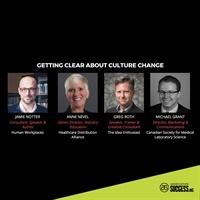 Getting Clear About Culture Change Jamie Notter, Anne Nevel, Greg Roth, Michael Grant. Conventional wisdom says culture change is hard, if not impossible, and it takes years and years of hard work, mostly driven by the CEO. As is often the case, conventional wisdom is wrong. 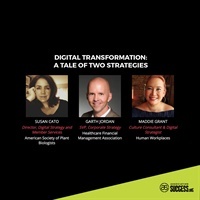 In this session, we’ve got both association executives and consultants who have extensive experience in doing the hard (but very possible) work of culture change. 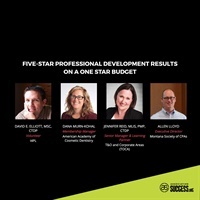 They’ll share lessons learned from both their successes and some of their frustrations. We’ll give you some concrete models that you can apply in your context, like how to create a “culture team” to drive the work, writing up culture priorities in concrete language, and developing specific “plays” for a culture playbook.